The first symptoms are grayed-out icons for Voice Memos and speakerphone. Later, the iPhone 7 or 7 Plus will begin intermittently freezing. Finally, when powering on, the device gets stuck on the Apple logo. This sounds like a software issue, but it’s actually the result of the audio chip starting to come loose from the motherboard. Repair requires a skilled hand with a microscope and a soldering iron. Apple is aware of the problem. 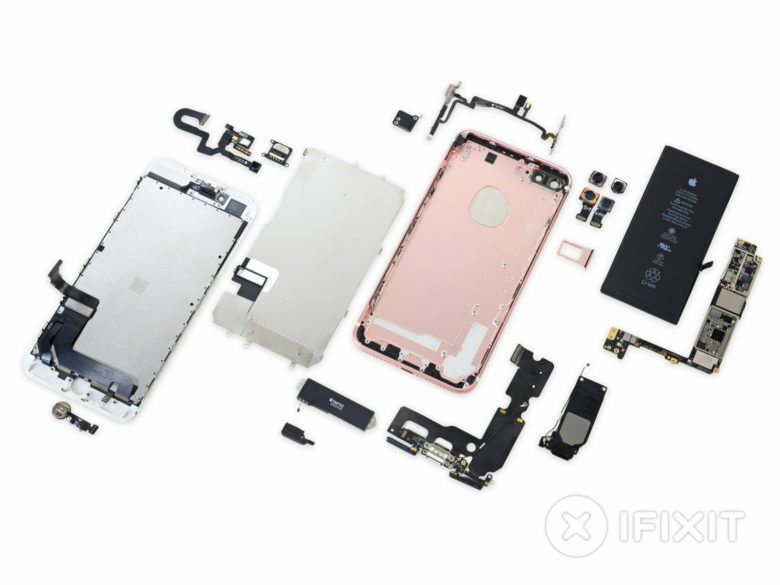 “We are looking into a very small number of reports affecting the microphone on iPhone 7, if a customer has a question about their device they can contact AppleCare,” an Apple spokesperson told Motherboard. There’s no word yet on what the company is doing about this problem. Probably the best owners of iPhone 7 or iPhone 7 Plus can hope for is that Apple will fix the lose chip after the device’s warranty has expired. Have you experienced “loop disease”? Is the “speaker” button when making phone calls grayed out? Let us know ine the comments section below, or on Facebook or Twitter. This isn’t the first iPhone 7 Plus hardware problem to crop up. Back in 2016, Apple had to replace some units with faulty cameras.